An Astoria resident of 30 years has opened a yoga studio on 28th Street that caters to busy moms and dads. 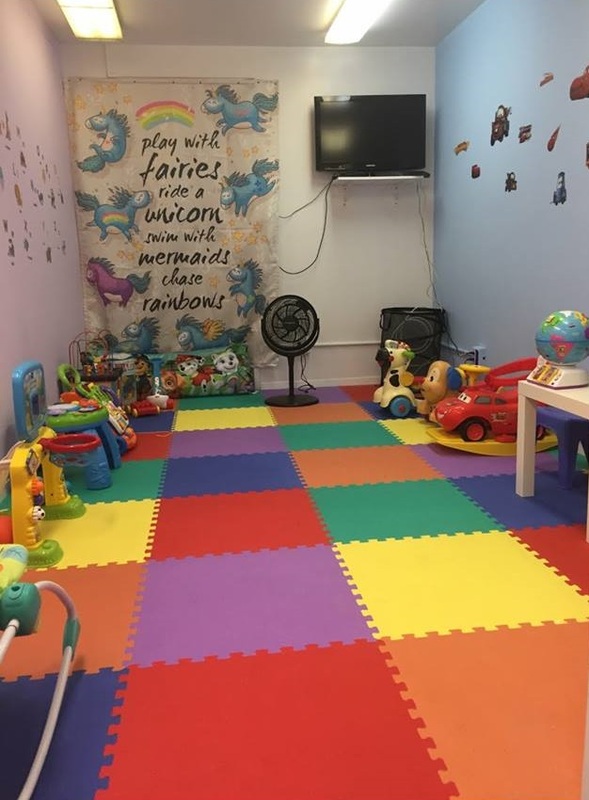 At Astoria Yoga Club, which opened at 22-67 28th Street earlier this month, parents can choose to do yoga with their baby or young child— or leave their little one in a play area while they take some time for themselves. 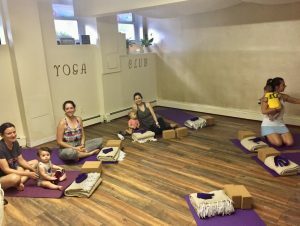 Minos said that she opened the studio because she noticed that although there are many young parents and babies in Astoria, there are few yoga studios where moms and dads can bring their children. The Astoria Yoga Club is divided into three areas— a large studio space that can fit “comfortably” 10 yoga mats, a smaller play room space filled with toys and bouncers, and a lounge area in between. The studio offers a variety of traditional yoga classes, including Yin, vinyasa, lynegar, Hatha and restorative, which are taught by certified instructors, including Astoria native Starr Rochelle, 10-year yoga-teaching veteran Jessica Bonnema, actor and certified instructor Kendall Hope, and internationally-trained Brooke Kathleen. Minos’ daughter, 23-year-old Marianna Minos, who is studying to become a teacher, watches over the children while their parents unwind in the other room. The studio also offers “Mommy and Me” classes for parents with toddlers and babies under the age of one, and “Family Yoga” for kids 5 and up. The club is currently running a special, charging $80 a month for unlimited membership, which includes unlimited classes, free babysitting and mat rentals. New members receive 20% off if they sign up with a friend in the month of August. Drop-in classes are available for $10 each. 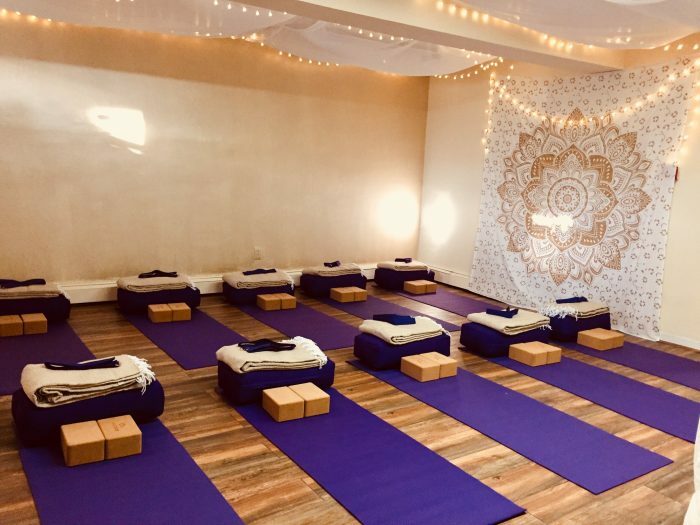 Astoria Yoga Club offers about four classes a day, five days a week, although the schedule may expand in September, Minos said. More information including a schedule of classes can be found on their website at astoriayogaclub.com. Yes another yoga studio bringing the goods! Love it! How exciting – and they ALMOST got it right. If this is for busy moms and dads, where are the WEEKEND mommy and me classes? Working parents of kids under 5 don’t get to do yoga with their children? Hello Thank you for your questions. WOW THIS IS AMAZING. CAN A MOTHER TAKE HER TODDLER BECAUSE ALL YOU SEE ARE LITTLE ONES?? ?